-Are you tired of sleeping? Right pillow brings you comfort and support simultaneously, allowing you to get fantastic sleep, helping alleviate health issues like upper back pain, shoulder & neck stiffness, and tension headaches. It is thought to improve respiratory function for deep breathing that can enhance sleep. 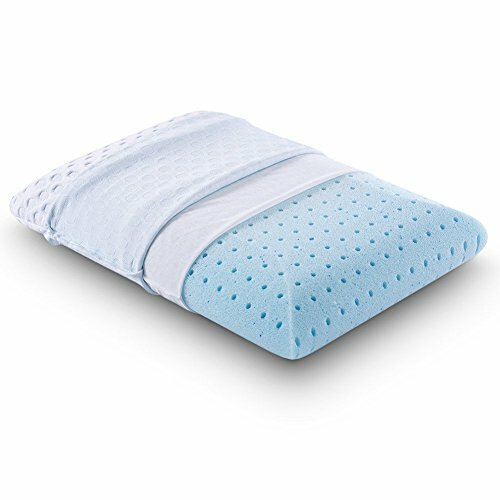 This pillow does not contain any toxic ingredients like formaldehyde, methane chloride, or PBDE The foam is CertiPUR-US certified for safety and performance, which means it has been independently tested for safety, physical performance and environmental stewardship.. In case you experience an odor which is a "Fresh Foam" odor, it is not harmful. The odor should dissipate within 20 minutes from when the foam is unpacked and aired out.